Meet Wagner, the strongest link in your supply chain. We’re a comprehensive 3PL service provider located in the heart of the nation with nearby rail, river, highway and air access. We sit near the confluence of four major rivers - the Cumberland, Ohio, Mississippi and Tennessee. Combine that with our close proximity to Interstates 24 and 69 and you’ve got a transportational network suited to fit your company’s every need. We’re much more than just our location, though. 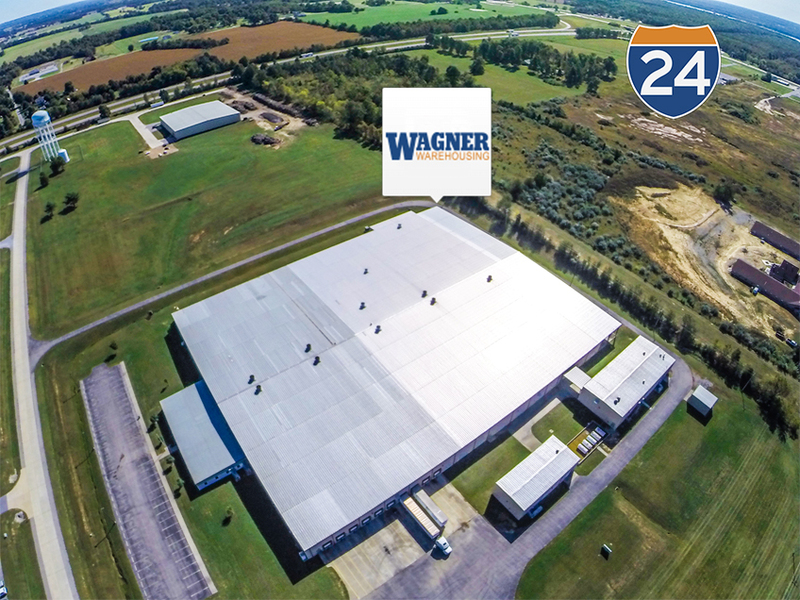 Wagner Warehousing Inc. was established over 48 years ago by our founder Clayton Wagner with the goal to be our every customer’s strongest support system. Mr. Wagner's entrepreneurial drive flipped the ignition switch for the decades of growth, innovation and unparalleled customer service and expertise that followed and is still to come. While transportation, technology and industries evolved over the years, one thing has remained the same - his foundational dedication to customer service that grows businesses. A partnership with Wagner in the 1970s is the same as a partnership with Wagner now - it means we work with and for you as your business grows, and we tailor our services toward that vein. That service has been our anchor through the decades, helping us grow from a team of just a few employees focused on household moving and storage to a versatile, experienced and tight-knit team of 30 employees dedicated to excellent freight storage and transportation. Now owned by Clayton’s two sons, Bob and Russell Wagner, the company continues to grow and take charge of the ever evolving logistics of freight warehousing and storage. Just a look back at how far we’ve come and a look at where we are now lets us know that there’s a lot more in store for Wagner. Our sights are set high and wide and we’re looking toward a future founded firmly upon our past - one of growth, innovation and unwavering dedication to providing you with the best warehousing and logistics services you can find.